Last week I posted ‘Episode 1 – Turmoil‘ of one of the most remarkable cases I have ever had to deal with. I kept myself up-to-date on Winston’s daily progress at the specialist center. He was hospitalised for a few more days after the surgery. He developed some expected complications, the main one being jaundice. On the bright side, I was informed that he had also started to eat which was a very good sign after such a massive surgery. On his final day at Advanced Vetcare, his liver histopathology results came through. His owners were informed that his liver was suffering from chronic long term changes and these changes were irreversible. They were given a very guarded prognosis and sent him home loaded with a ton of medications and a special low fat food (Hill’s w/d). 1. Cortisone (prednisolone) to hasten down any inflammation that can further damage his liver. 2. Broad spectrum antibiotics. Two types were used: Amoxyclav and Enrofloxacin. 3. Ursodeoxycholic and S-adenosylmethionine (SAM-e) to support his liver and reverse the jaundice. Surprisingly, Winston improved more and more each day. He came to me for weekly revisits and appeared livelier each time. He was eating well and his owners were feeling very happy with his progress. I just always knew Winston would power through and defeat all the odds. We closely monitored his liver enzymes via blood tests which showed very subtle improvements each week. I must say, each time Winston came to see me; I was really moved with the powerful bond shared between him and his lovely owners. They were supporting each other so much during this whole ordeal. His owners were doing everything in their power to keep him comfortable and help him recover and Winston in return, was making more progress each day and filling them with so much hope. In the picture above, Winston is giving me the funniest look; the one that says, please take me back to my parents. Two weeks passed and out of nowhere, Winston had a really bad turn. He was vomiting and couldn’t even keep any water down. He looked pretty flat when he was brought in. Overnight intravenous fluid therapy at our clinic had not really made any difference to him. After consulting with the specialist, the concern was that Winston was either suffering from a bout of pancreatitis or terminal liver failure. We needed to do more tests to determine which of the two situations were occurring. If it was the latter, it was simply the end of the road. Both possibilities posed very grim outcomes. However, pancreatitis was treatable. He would require several days of intensive hospitalisation and supportive care. Soon after I spoke to the specialist, Winston’s owners came in to visit him. He managed get himself up and greeted him with a tiny tail wag. I conveyed our concerns and discussed his options and then gave them time to digest the news. They all sat huddled together and Winston was looking ever so frail. ‘We have got to stop now. We have put him through so much and we simply can’t do that to him anymore’. It has been one and half month since I mourned the loss of Winston and I still cry whenever I think about him. It has been quite hard reliving this whole case but I had to share it with you all. 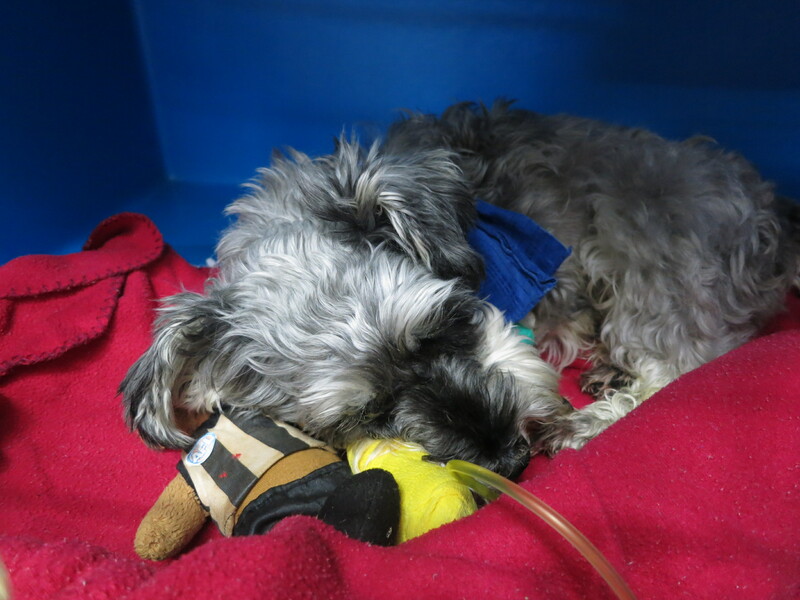 I want Winston’s tragic loss to spread awareness about this lethal liver condition that Schnauzers can get. If you own one yourself or know somebody that does, it is imperative that you read this or share it to relevant parties and learn from it. 1. Even if your dog appears bright and healthy, make sure to get him/her regularly (say every 6 to 12 months) blood tested to check their liver. For all you know, he/she may be battling with this undercover liver condition. 2. Maintain your dog on balanced low fat diet as prevention. Consider adding silymarin supplement to their diet to help support their liver. 3. If your dog appears to be suffering from intermittent episodes of vomiting, once to twice a year, it warrants further investigation of his/her liver. Winston’s resilience masked his inner workings beyond belief. Would you ever suspect Winston was very sick based on his picture below? My dear Winston, you taught me so much and I will forever be grateful to you. I promise you that I will never again be fooled by any of my patient’s outwardly healthy appearance. So sorry about Winston. It’s always a heartbreak to lose a beloved pet. I know you did the best you could for him. Thank you so much. I agree, it is always hard to lose a pet. Oh no!!! *wiping eyes* This was difficult to read but an important warning to ALL dog lovers to get help asap. Thank you for helping Winston and his people through this awful situation. Thanks Amy. I didn’t mean to make you cry but it goes to show how much you care. I hope this post helps serve its purpose in spreading awareness. I was so worried this would be the outcome. Thank you for going through the pain to tell this story. Such vital, potentially life saving info. So sorry for Winston, his owners and you. I take my hat of to you for caring so much that it hurt to tell us the story. Wish all vets cared as much as you do. I really appreciate your very supportive comment. It was definitely not the ending anyone expected or wanted. You win some and you lose some concept never seems to be something I can accept. I aim for a good outcome for all my patients. Oh Rayya, how enormously sad. Is there a register for breed-specific health problems? It would be so good to be able to send owners to a place where they can be warned if there is anything they should be looking out for. We’ll certainly remember your valiant efforts with Winston when we meet Schnauzer owners in future. Thank you for sharing this harrowing story. I don’t think there is one and I definitely think that’s a super helpful idea for pet owners. I will try to compile a list myself and put one online at some stage. Thanks for your support and it really makes my day when you promise to spread the word out for Schnauzer owners. If there’s anything we can do to help, consider us in! Thanks Rayya for sharing this beautiful-and sad- story. I am sure that this will prevent similar episodes if people are aware of symptoms! Thank you so much David. I hope you are right and this post prevents any more tragic loss of much loved Schnauzers. Have you ever dealt with a Schnauzer with this condition? Oh my goodness…I just read this story after blogging about my pet Marley and his ordeal this summer. When I saw the pictures of Winston, I couldn’t believe how much he looks like my Marley-man. My thoughts go out to the owners…I am praying that we have a different outcome. I am touched by the story, and wish you all the best. Thank you for sharing it. If interested, my blog about my lil’ fella Marley, is posted at http://thepopulistcytologist.com/2012/08/25/what-a-summer/. Would appreciate your thoughts and prayers. Hey Jana. Thank you so much for your comment. I bet it really hit home to you reading about this post. We both happened to post our blogs around the same time, quite unbelievable really. I tried to put a comment on your post but I kept gettting an error. Firstly, just wanted to tell you so sorry for the loss of your precious ‘Missy’. You sure have had an ordeal of a holiday. I think you need to book another holiday soon to recover from this one. How is your gorgeous Marley going now? I highly recommend you start him on silymarin (milk thistle) as it will help support his liver. Thanks for stopping by my blog and I plan to read yours regularly. Thank you so very much! It was actually uncanny the timing. I think the error is because I privately host my blog (helps cut down the spam). But anyway, I greatly appreciate the reply. Marley is hanging in there. He seems to have if good and bad days, but overall, unless it is my imagination, he is gaining weight, and no vomiting (fingers crossed). He isn’t on silymarin, but something else for his liver Denamarin. Thanks for your reply! I will be sure to keep up with your blog…I think it is great. Rayya, This has moved me to tears. My heart goes out to Winston’s family and to you. I will be forwarding this to several of my clients. Thanks Nicole. I appreciate your support and mostly you spreading out the word to your clients. Education and hopefully prevention of this condition will make Winston’s loss more bearable. I am so, so sorry! For all of you. Dr. Rayya, You did your best for this little doggie. Tears for the family as I know what it feels like to have to put a dog down from pain and suffering. Thank you so much Melody. I appreciate your kind words. His parents definitely knew they made the right decision by him. Winston is now free of pain and suffering. Oh, I was so hoping for a happy ending to his story…RIP Winston.. So was I. Unfortunately my hopes were shattered. At least Winston is pain free now. That is so sad and I can only imagine the heartbreak of Winston’s owners. (And your own, by the sound of it). You fought a very brave battle there and I really hope that your blog helps to warn other owners about this condition. Hey Jo. Winston’s owners definitely suffered from a huge heartache and I felt all of their pain. 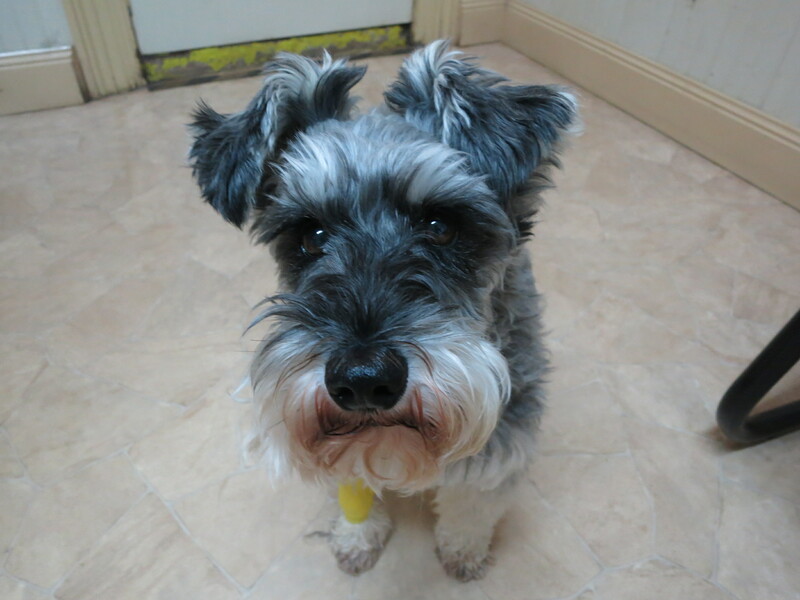 I really hope lots of Schnauzer owners read this blog and I manage to prevent any further tragedies like ‘Winston’ from occurring. Rayya, this is heartbreaking news but I know that you did your best for Winston, but it seems it was a battle that couldn’t be won. I feel for his owners. Thank you for writing this post, because I know how hard it must have been for you; it contains valuable information for Schnauzer owners in particular, and if it helps just one owner, then it is worth the pain you went through to write it. Thank you again. I wish all vets cared as much as you do. The loss of a pet is never easy; my friend had to put her dog down three days ago and her pain is indescribable. Hey Barb. I guess Winston’s owners and I were really hopeful because he put up such a brave face throughout his ordeal. The only time I actually thought Winston was unwell was the day I had to put him down. His owners are definitely still grieving and will for some time. 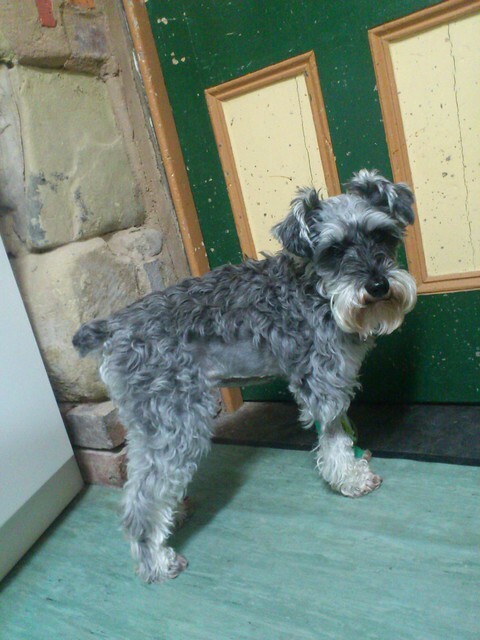 The purpose of writing this post was simply to help prevent a similar loss of a much loved Schnauzer and like you said, if it saved just one, then it was worth it. So sorry to hear about your friend losing her dog. We all ultimately dread that inevitable day and can simply never be prepared for it. Thank you for your kind words Rayya, they mean a lot. Dr Rayya, how very sad. I’m so sorry that you lost such a dear patient. Thank you, though, for writing this tough series to make us aware and to teach about the special needs of schnauzers. Oh so sad, Rayyathevet. I am glad he had such good owners who knew when to say enough. And a good alert for Schnauzer owners. I had no idea they had a tendency to liver problems. Hey Isobel. Winston’s owners loved him so much and they could not bear to see him suffer. They definitely always put Winston first. I actually myself wasn’t aware Schnauzers were prone to this condition. I think it has been discovered fairly recently. Oh Dr. Ryya, how terribly heart-breaking. You and they did so much more than many others would have. Try not to be too hard on yourself. Hey Jodi. I did take Winston’s loss pretty hard but like you said, I did do my best. Time heals all wounds and writing about his tragic loss has definitely helped me put things into perspective. Thank you for your very thoughtful comment. Ugh, sorry to hear about this sad ending to a tough case, Rayya. Take comfort knowing that it happens to the very best, and you definitely went above and beyond in taking care of this handsome little guy. Hey Elliott. I can’t tell you how much your supportive comment has touched me. Thank you so much. I think a good vet should always reflect on each case he/she has lost and see what he/she could have done better. You are the most wonderful veterinarian! I’m so sorry for your loss, as well as for Winston’s family’s. He was a beautiful and obviously, very loving dog. It’s so hard to lose our best friends. Oh, it is so hard. Your tribute to Winston brought tears to my eyes. I pray that in good time his owners’ hearts will mend, and they are able to remember the good times and all the smiles with their little guy. That has been the most helpful part of grieving the loss of my girl, Free, in 2006. She asked me to remember our good times and not to talk about those last days too much. Amazingly, this is the way it is. Most of the time when I think of her I smile. Sometimes, I still cry, but mostly I recall something funny she did. Thank you for writing this story. I imagine that was hard too, but it is a lovely remembrance and also good to spread awareness about the liver disease in Schnauzers. I know Winston is proud of you for that.